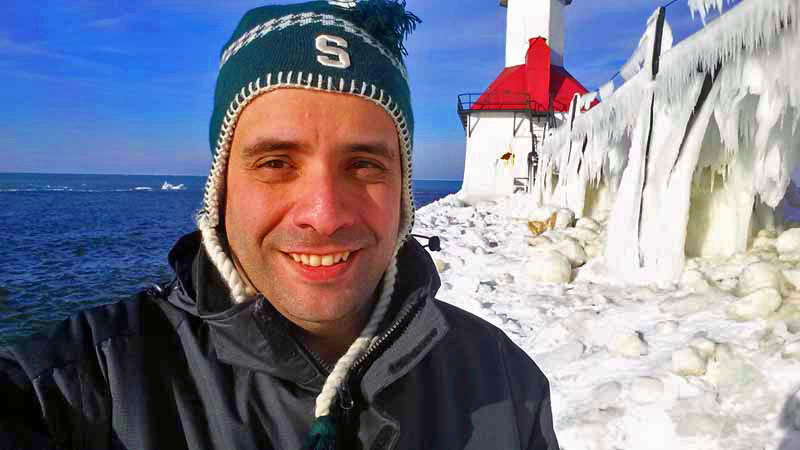 Being part of a Michigan winter brings with it frigid temperatures and on-again off-again snow. 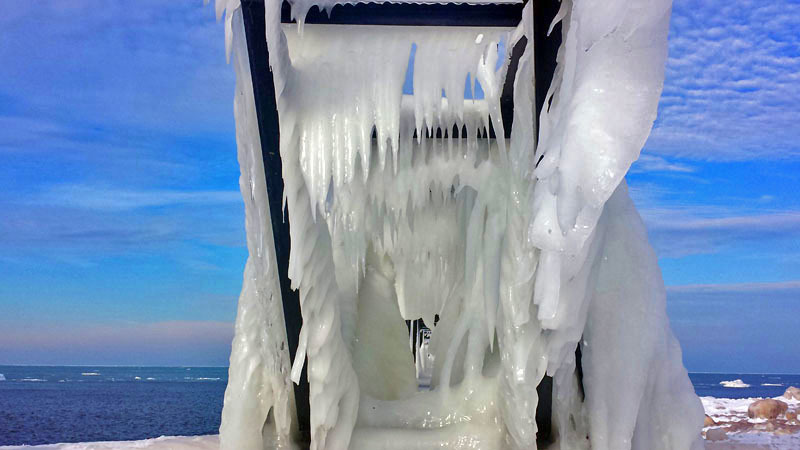 Hanging out along the immediate Lake Michigan coastline takes it to another level. 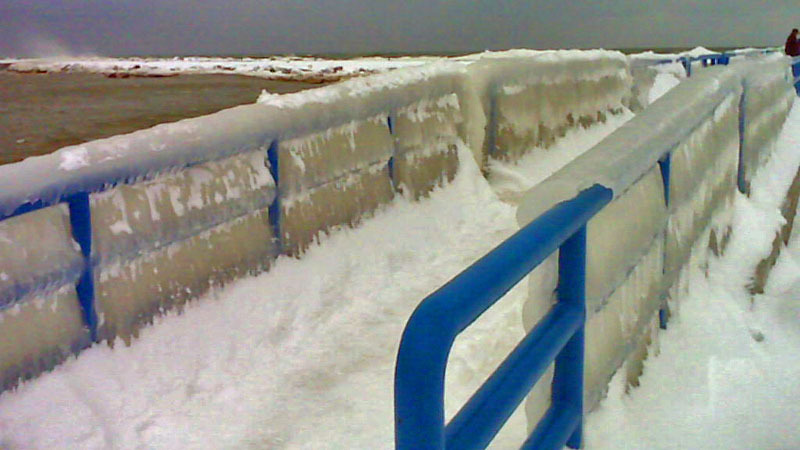 Lake effect snow and high winds off the lake make for a bone chilling experience. I’ve gone over to various parts of such coastline over the years, in January usually, to capture winter’s rath. 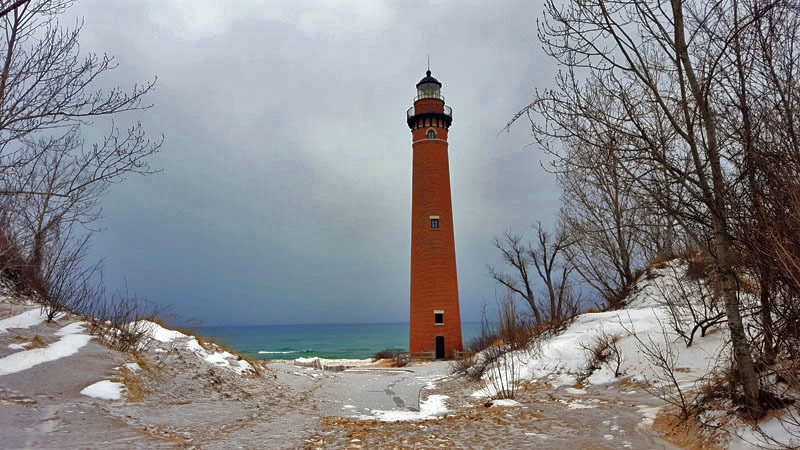 I’m fascinated with how it takes hold to the various lighthouses, piers and beaches which you will find plenty of each along Lake Michigan. Some of my favorite shots I’ve taken over the years, all bundled up, follow. So worth it! Well without further ado. 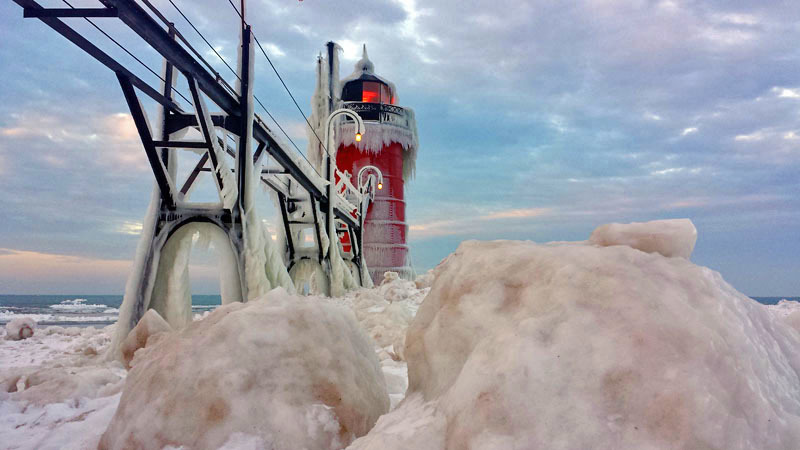 All smiles at the St. Joseph North Pier Inner Light. Gingerly walking on what amounts to be the largest ice block I’ve ever seen. 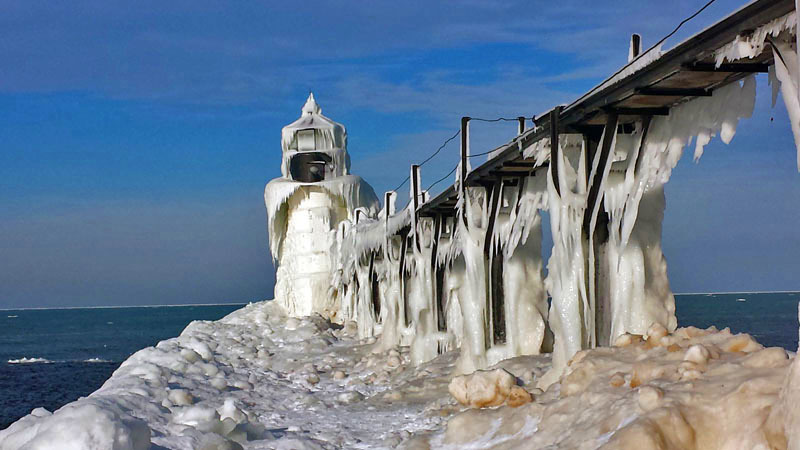 North Pier Outer Lighthouse in St. Joseph, Michigan. 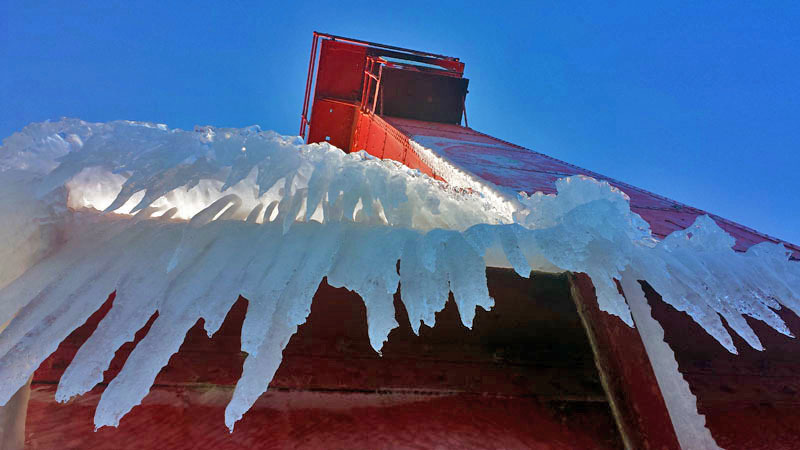 Mounds of ice on the pier alongside the White River Light. 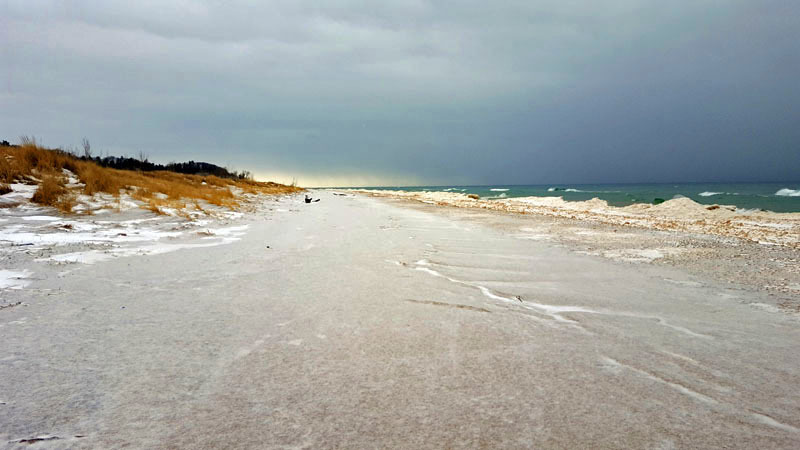 Snow and ice cover lakeside beach along the Silver Lake Sand Dunes. 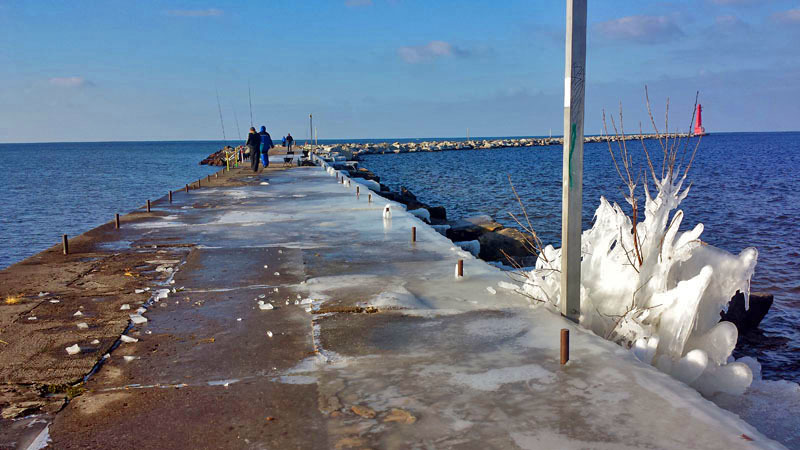 Ice fishermen and I are out on the open iced over pier in Muskegon. Capturing cat walk iced sculptures up close. 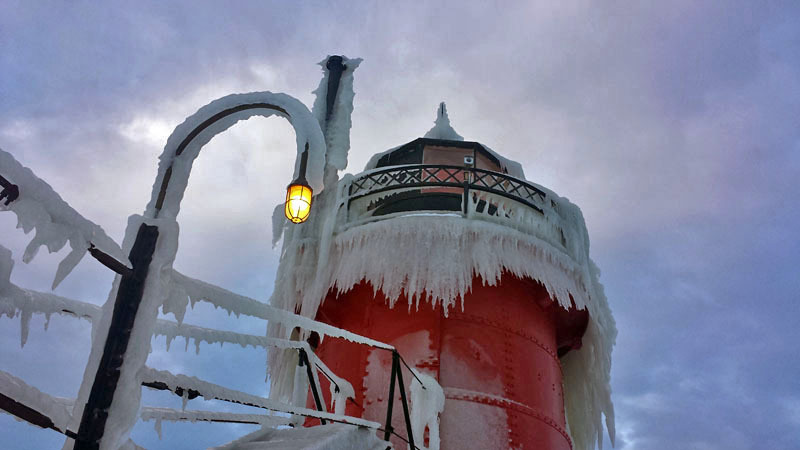 More iced over photography happenings in St. Joseph. 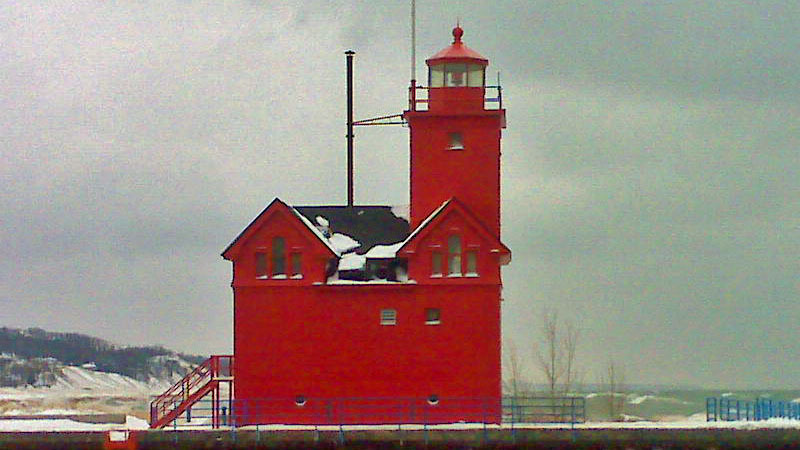 Holland’s “Big Red” Lighthouse standing tall. Little Sable Point Lighthouse near Mears, Michigan. 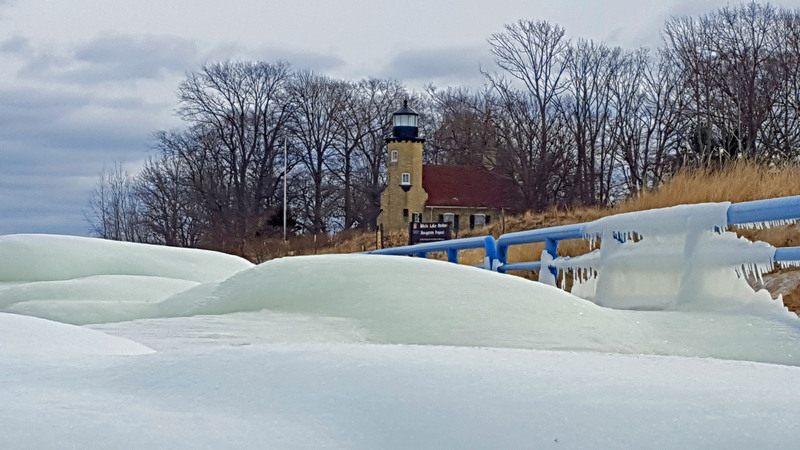 Snow creeping up the Muskegon Breakwater Light. 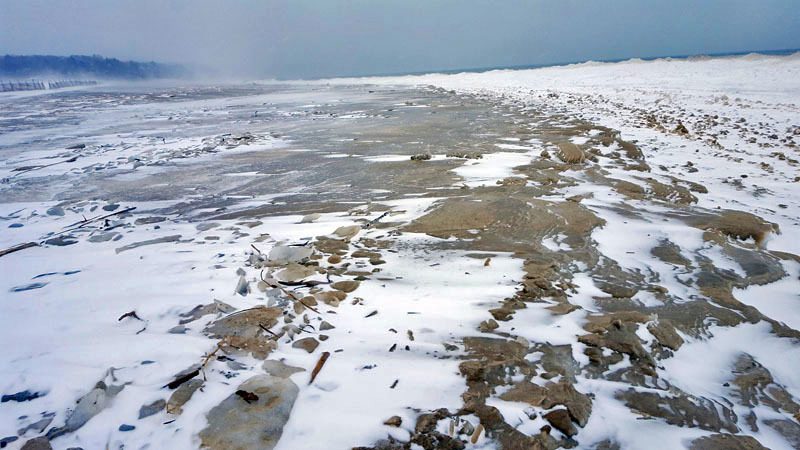 The frozen channel between White Lake and Lake Michigan. 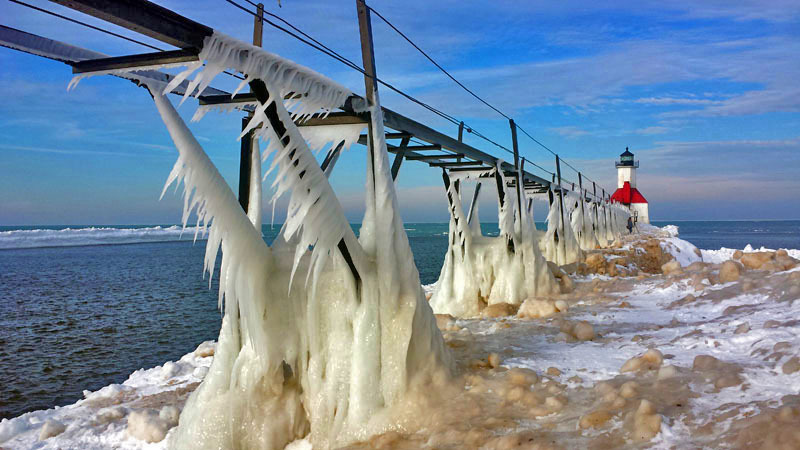 Iced over bridge and pier in Holland State Park. 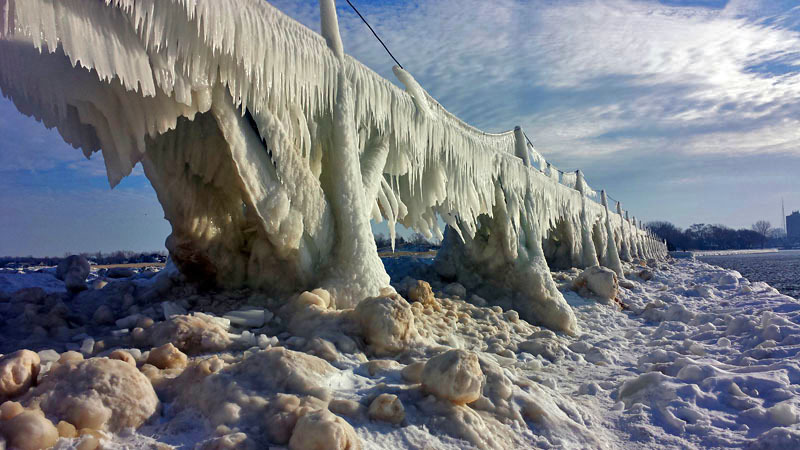 Anyone up for skating down the Whitehall pier to Lake Michigan?! 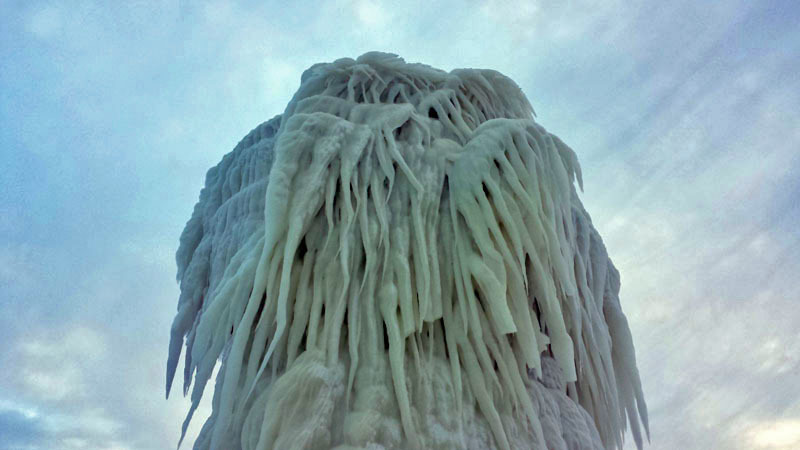 The Grand Haven Lighthouse is playing peekabo with the large ice formations. Lighthouse from up-top the sand dunes of Grand Haven State Park. 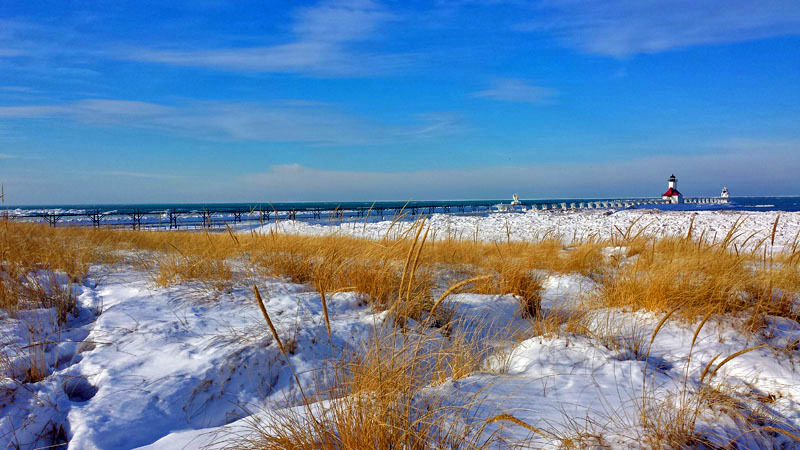 A sunny winter day along Lake Michigan, capturing St. Joseph’s two lights. 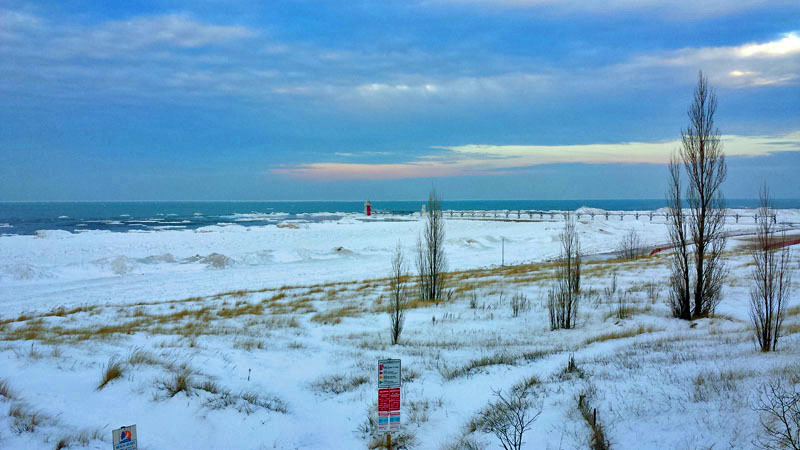 Out on the open South Haven beach at dawn. 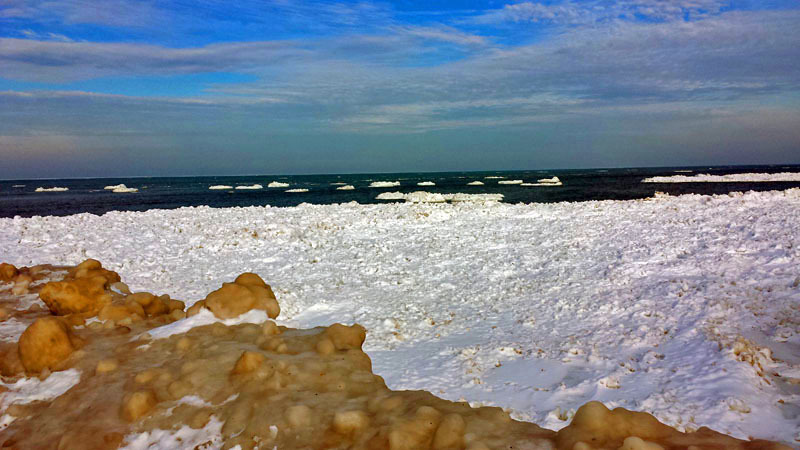 Winters view from New Buffalo Public Beach. 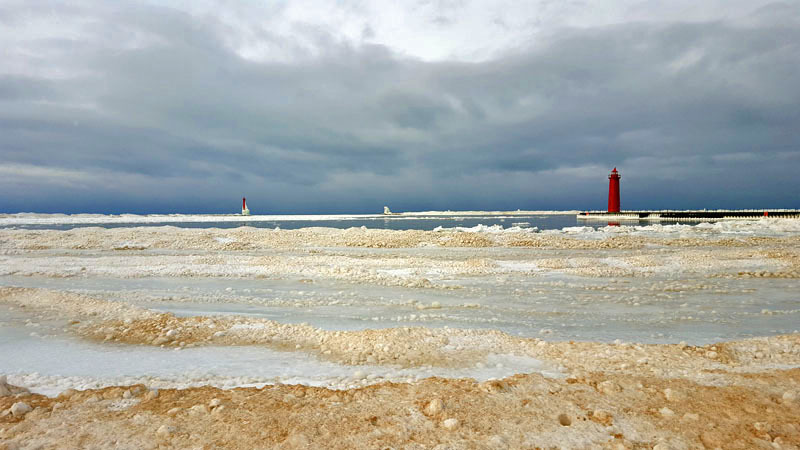 Panoramic, snow covered views of Lake Michigan and the South Haven lighthouse. 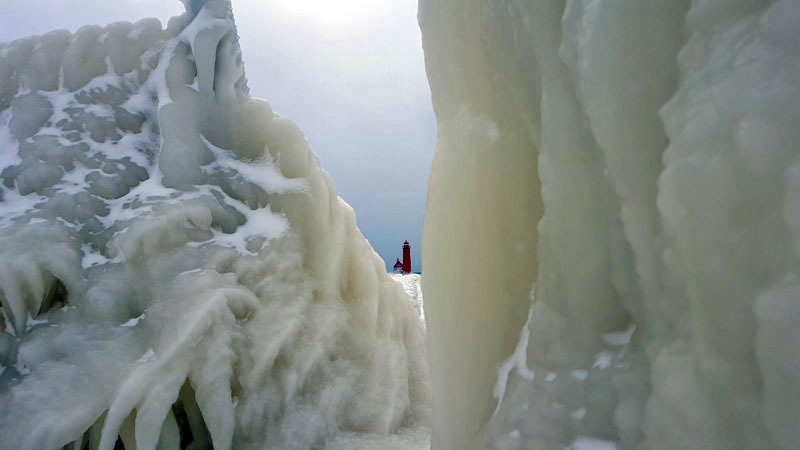 Climbing my way toward the South Haven Lighthouse. 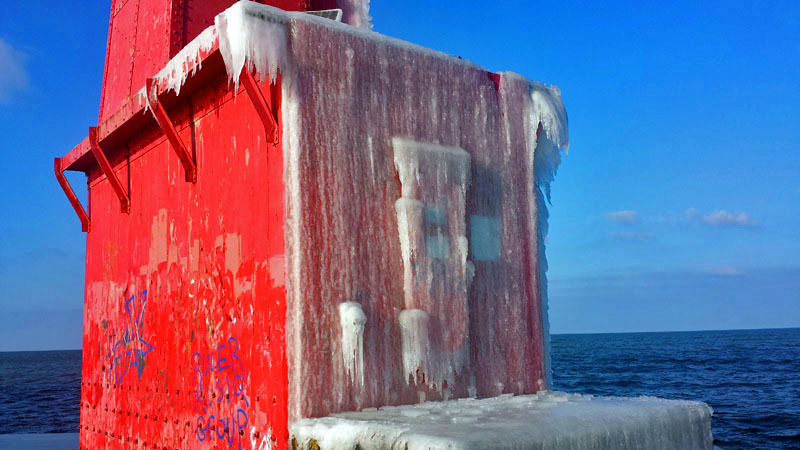 Muskegon’s South Breakwater Light is iced over. 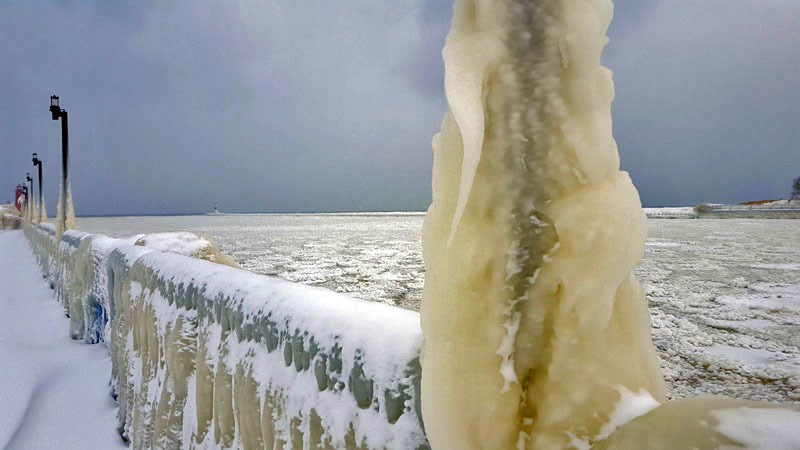 Love how ice sculptures can form, like on Muskegon’s South Breakwater Light. 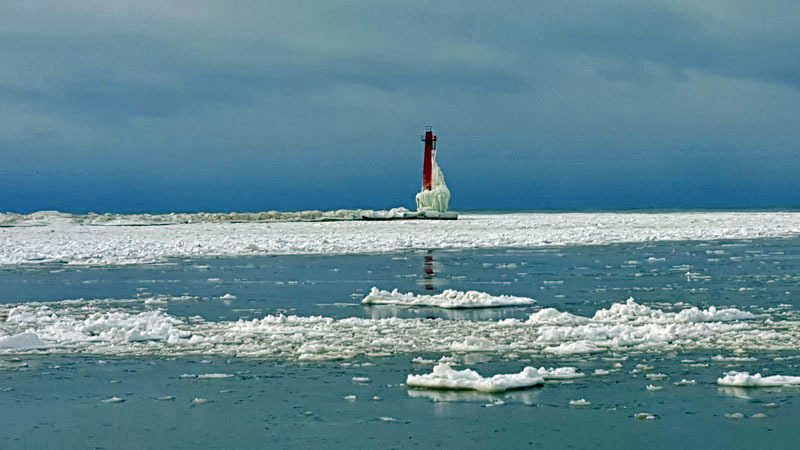 South Haven Lighthouse along Lake Michigan during the heart of winter. 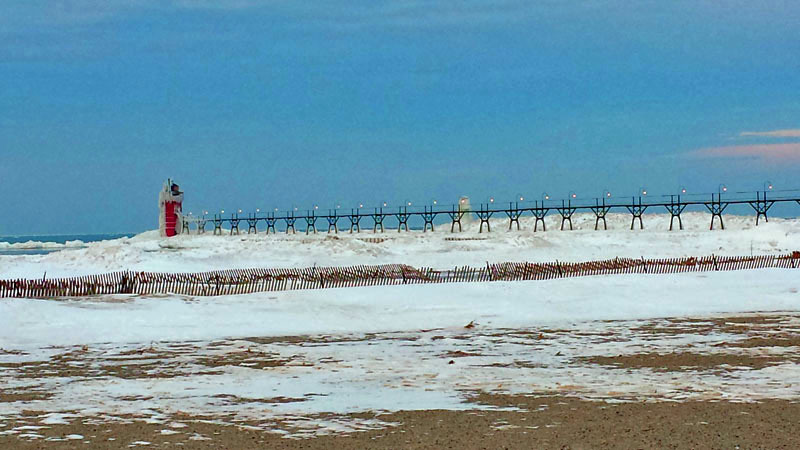 Lakeside view of the lighthouse in South Haven. At least I think it’s a lighthouse. Where is the pier catwalk? 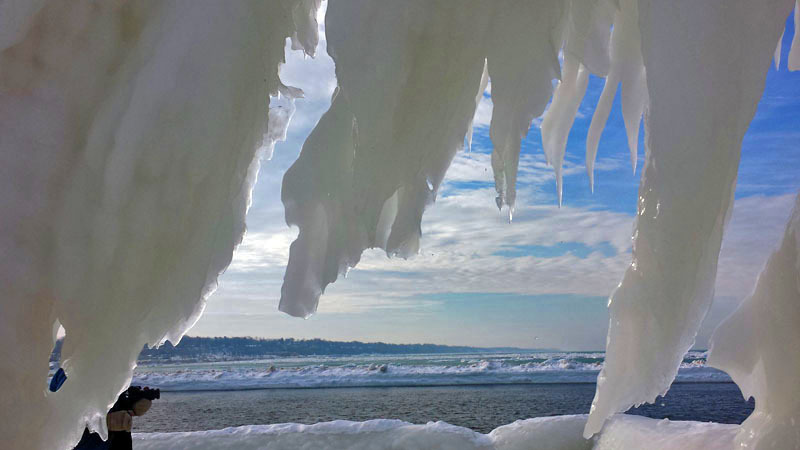 Taking in the wintry blue waters of this Great Lake. 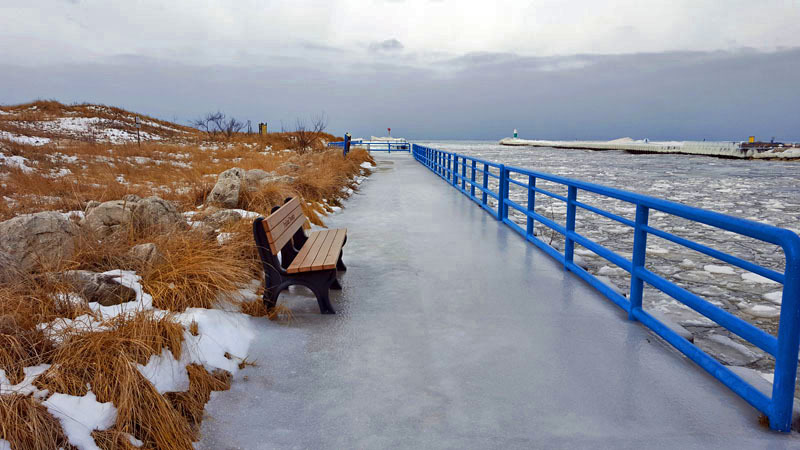 Who is up for a walk on the windy, wintry Grand Haven State Park beach?! 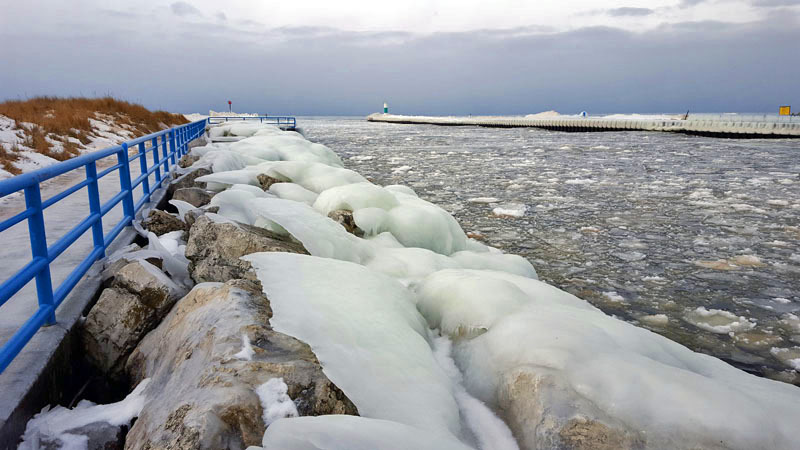 Grand River, light poles, railings, and everything else frozen over in Grand Haven. 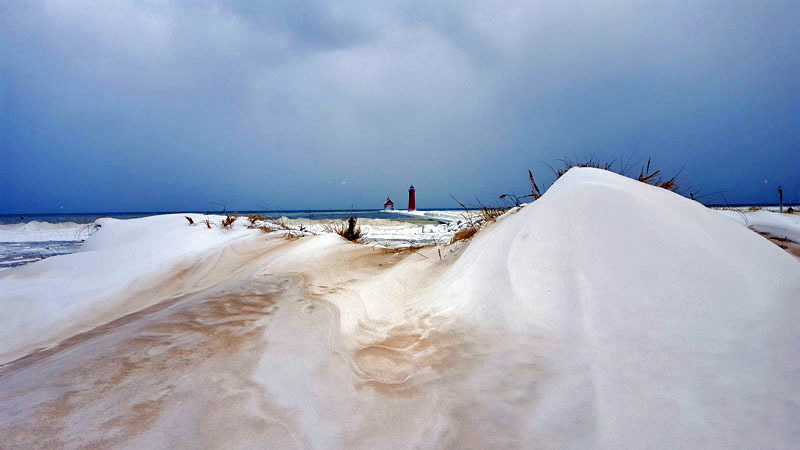 Snow filled view of both Muskegon lighthouses from Pere Marquette Park. 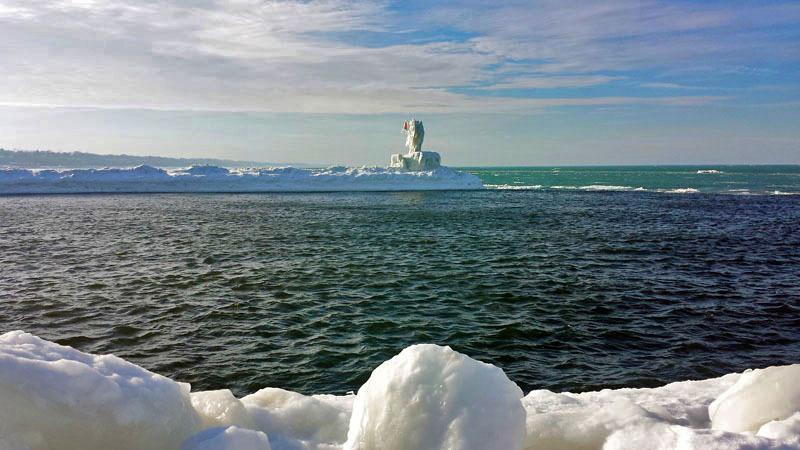 Have you had the chance to capture any lighthouses and/or coastlines in winter?